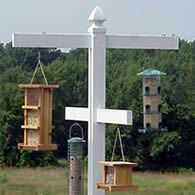 A bird garden or more specifically a bird friendly habitat is something each of us can do in our own backyards. 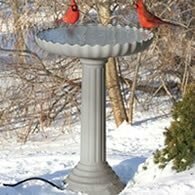 Planting specific shrubs and trees that are known to attract birds not only is good for our avian friends but can add value to our homes. When considering what to plant in your own bird garden think in terms of native plants. These plants will offer you a better chance of success while keeping cost of maintenance down. More and more garden centers are offering native plants. While a specific specimen plant that is not native is fine, it may not add much to attracting native wildlife to your yard. The landscapes of the past, while attractive, have proven to be costly to maintain. One can still have an attractive landscape while still providing for the birds. 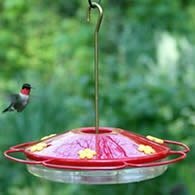 Selecting flowers with tubular nectar producing blooms will feed both hummingbirds and the bees that pollenate our food crops. Shrubs and vines that provide nesting sites can also offer a variety of bloom colors and scents. When we begin to work our landscape with the birds in mind, we begin to help ourselves as well. Birds need thousands of insects to eat during the nesting season. 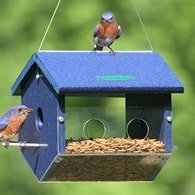 By planting with the birds in mind, you'll attract more birds to feed on the insects in your yard. Keeping your yard and your family happy. 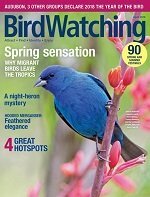 Want to learn more about creating a Bird Garden and how you can create a more bird friendly yard using plants, flowers, shrubs and trees? Well look no farther. Our recommendation couldn't be stronger for Birds and Butterflies. Check out the link below to learn more!